If you’re looking for a home that’s surrounded by natural beauty and is close to multiple parks but still convenient to main cities like Bellevue, Renton, or Seattle, Newport Crossing in Newcastle, WA, is the ideal place for you. Your new apartment is just minutes away from beautiful Lake Boren and lush May Creek Park. Newcastle Beach Park and the Golf Club at Newcastle make it easy to enjoy the beautiful Washington summers outside. Hikers and dog owners will love the close proximity to Cougar Mountain Regional Wildland Park, with miles of trails to explore. Life at Newport Crossing also means you’re never far from where you need to go. 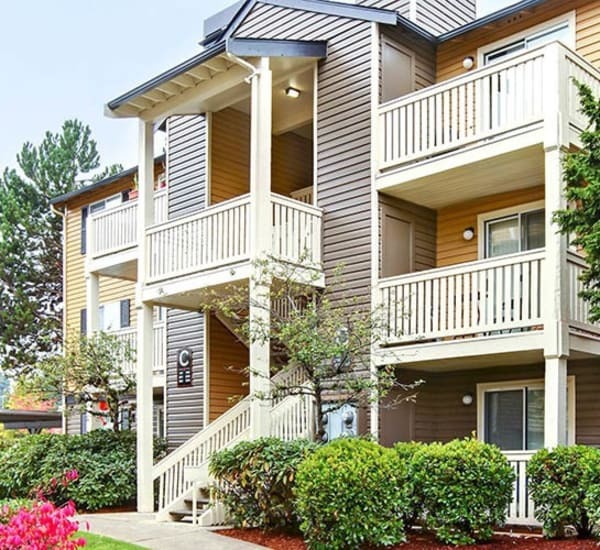 Conveniently located near I-405 and I-90, you’ll have easy access to the Seattle metropolitan area. With major employers like Microsoft, Nintendo, and Bellevue College all nearby, and situated in a top-rated school district, Newcastle, Washington, is ideally located. You’ll enjoy plentiful shopping, dining, and entertainment around the corner at the Coal Creek Marketplace and just minutes away at the Marketplace at Factoria. Whether you’re stocking up at Safeway or B&E Meats and Seafood, grabbing a pizza at Tuscan Stone Pizza, or enjoying a night out at the 888 lounge, you’ll have everything you need at your fingertips. Experience Newcastle, Washington. Contact us to schedule a tour.